Statistics show that 90% of those who use computers for more than 3 hourse in a day will suffer from at least one condtion attributable to CVS. What can one do to avoid CVS? The best thing to do to avoid CVS is to stop the use of any VDU. The down side to this is that it may warrant you stopping your curren job or fun activity. Basically this is not always possible nor wise. How can one reduce the effects of CVS? Taking regular breaks from the VDU. This priceless routine can do you a world of good. One very effective strategy that has been adviced is the 10-10-10 rule. It states that after using a VDU for 10 minutes, you must take a 10 seconds break by looking at something 10 metres away. By doing this you change the eye focus, thereby exercising the muscles of the eye and reduing eye strain. Regular facial washing. By bathing the face with clear water once every 2-3 hours helps to calm the eyes and reopend pores on the surface of the skin. Using specially coated spectacle lenses. 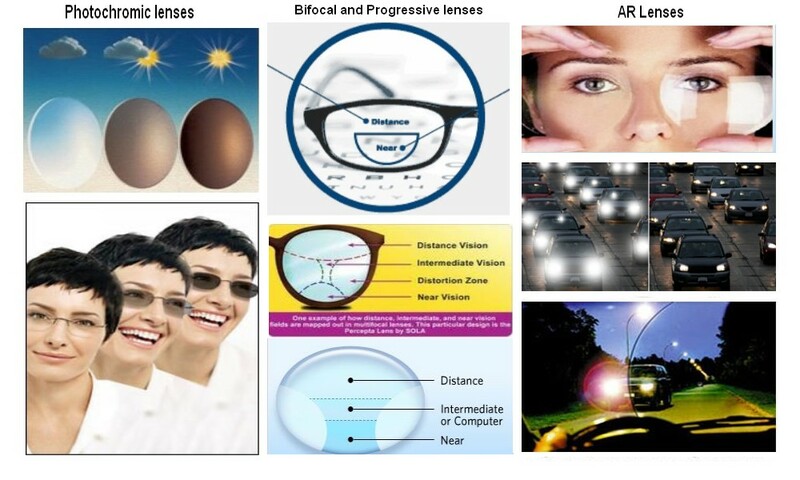 The coating known as Anti-Reflective lens (AR lens) acts by reflecting all rays of light that are unneccessary away. Thereby allowing just essential light rays to enter the pupil. This coating is very good for driving especially at night.